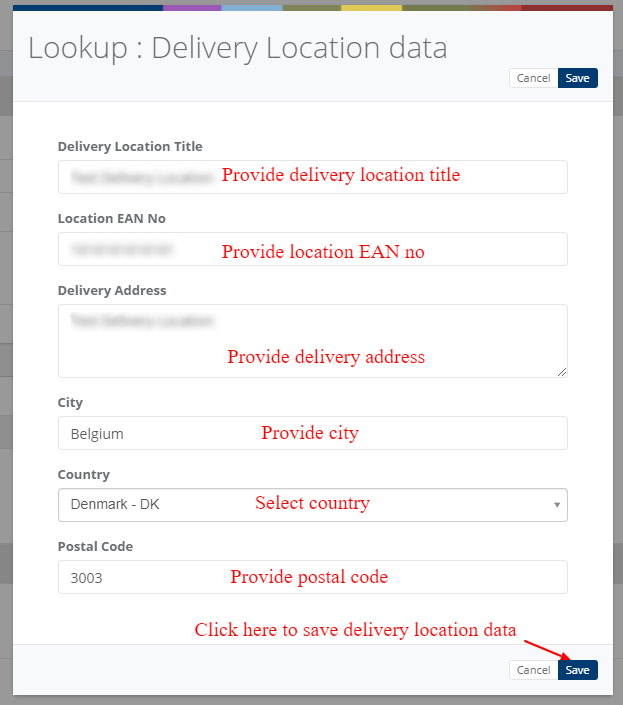 Here you can find steps to create new delivery location lookup. Click on '+' and you can provide all the details related to delivery location like delivery location title ,location EAN no, delivery address, city, country and postal code. You can edit delivery location data according to your requirement and also delete delivery locations.